by Inderjeet Singh, at al. 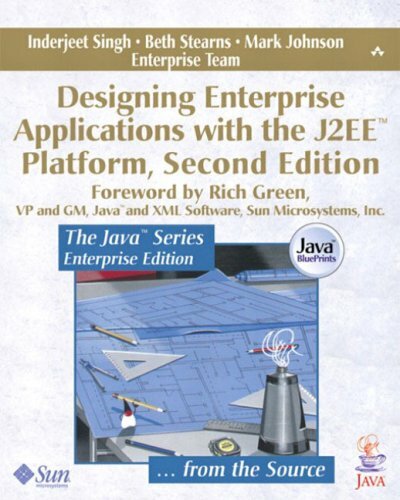 The book describes the key architectural and design issues in applications supported by the J2EE platform and offers practical guidelines for both architects and developers. It explores key J2EE platform features such as Java servlets, JavaServer Pages, and Enterprise JavaBeans component models, as well as the JDBC API, Java Message Service API, and J2EE Connector Architecture. It also discusses security, deployment, transaction management, internationalization, and other important issues for today's applications. This book shows you how Spring's data access framework can help you connect to either non-relational or relational databases. You'll learn how Spring Data's model reduces the learning curve for applications with newer data access technologies.